Tempo’s C6RX Exterior linear LED turns a tower into a show-stopping beacon of light. 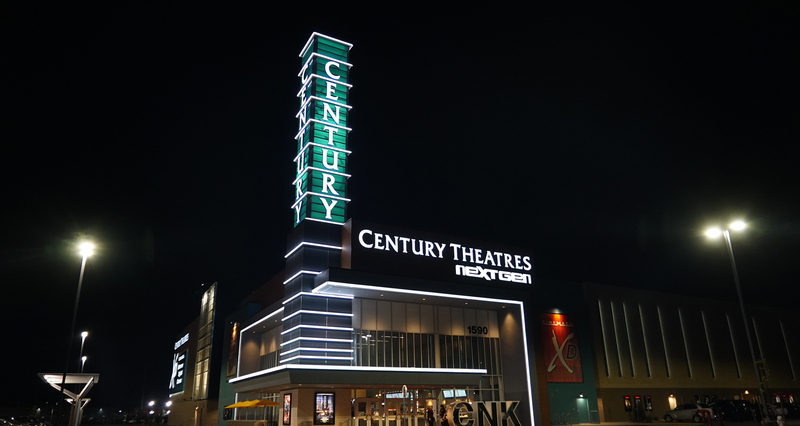 Architect Kip Daniel of Beck Group worked with Cinemark’s lighting designer William Angles to create a tower for the new Century Theatre’s multiplex in Sacramento that would beckon movie goers from far and wide. To make the tower stand out in the night sky, Angles selected Tempo’s C6RX Exterior. The C6RX is the ideal linear luminaire for this application because it is IP66 rated and delivers a nominal 460-910 Lumens/ft at 5-10 W/ft. Strategically installed at both the bottom and top of glass panels that clad the tower, the C6RX illuminates the structure to create a modern beacon that is show-stopping. Now with a NEW stepped-glass lens that sits flush with the top edge to allow for effective water run-off. Sits flush with the top edge to allow for effective water run-off.